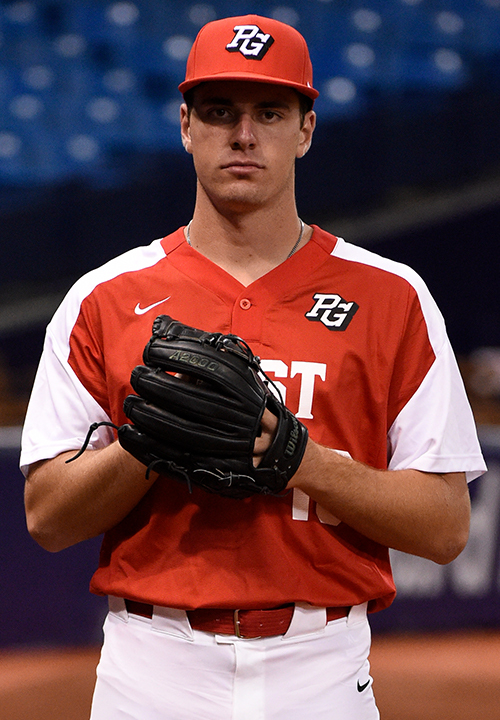 Matthew Allan is a 2019 RHP/1B with a 6-3 210 lb. frame from Sanford, FL who attends Seminole HS. Big and strong athletic build, mature physically. Slow paced delivery with a big leg raise start, low effort mechanics, 3/4's arm slot, showed better stuff and more consistent mechanics from the wind up. Fastball topped out at 94 mph, gets to his velocity easily, mostly straight with the ability to throw it to spots. Breaking ball is his best pitch, slider shape with curveball depth, very consistent spin and very good feel, strikeout pitch. Very comfortable working glove side. Rare change up was firm and developing. 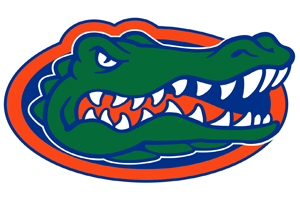 Excellent student, verbal commitment to Florida. Selected to play in the 2018 Perfect Game All American Classic.